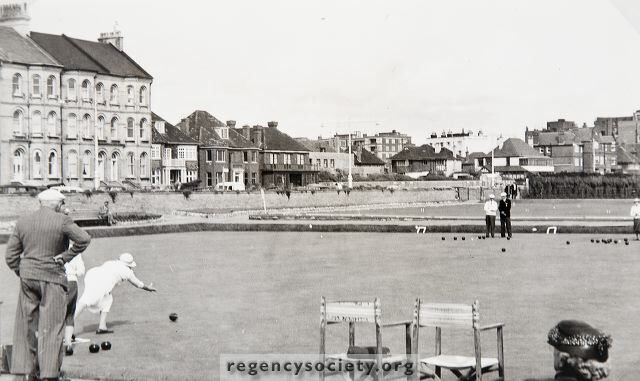 A photograph of the Bowling Greens, in 1958, showing the Hove College buildings in the right distance. Built in 1902 as a large private house, it became the College in the early 1930’s. It closed in 1980 and was being reconstructed for use as a Nursing Home when, in 1983 it was destroyed by fire.